Immediately after an update, my iTunes refuses to open after install especially under my username and it displayed an error saying “iTunes cannot open, an unknown error has occurred”. I have tried various methods of troubleshooting but all got me nowhere. How can I fix this? Possible Causes of "iTunes Won't Open After Windows Update"
There are various questions that arise as a result of "iTunes won't open". The iTunes won’t open problem arises on windows 10/7 PC, especially after the update of new iTunes or windows update. Why has iTunes stopped opening? The latest installation is not complete. So necessary files may be missing after update or reinstall. Some iTunes necessary components may be damaged. Your iTunes library may be corrupted. iMyFone TunesFix is an efficient iTunes repair expert that is specifically developed to fix all iTunes problems, especially the “iTunes won’t open after update/install/uninstall” issue. You just need to download the available repair tool and let it do the resting repairing. 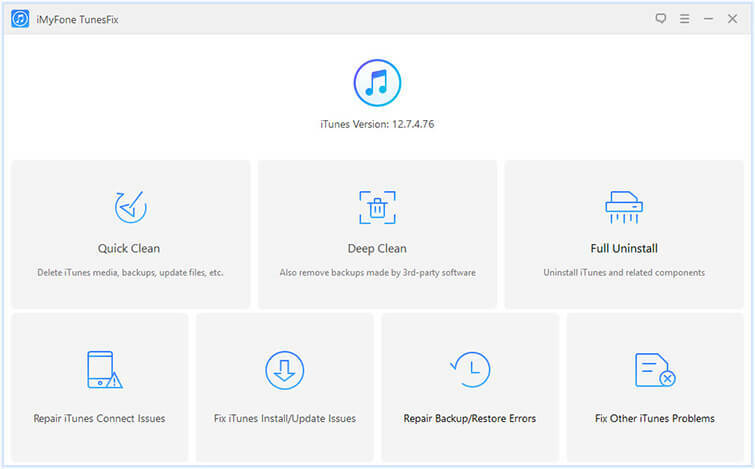 Also fix other iTunes problems such as iTunes could not connect problems, iTunes installation and update failure, iOS restore and backup problem and others. All your iTunes data will be well-protected when repairing. 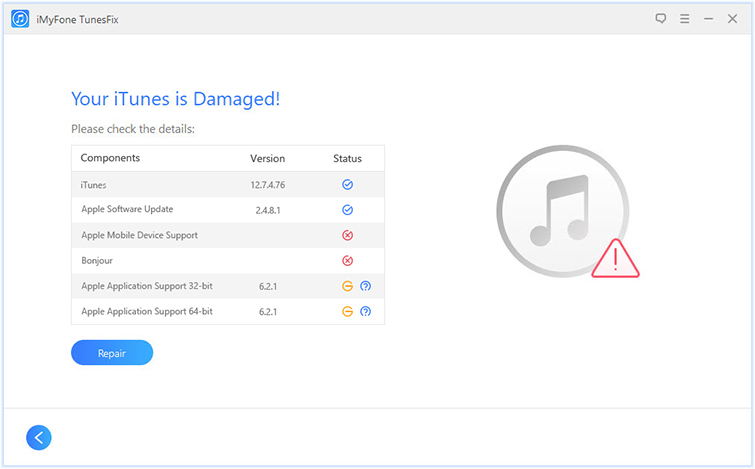 Uninstall damaged/corrupted iTunes and components from PC, leaving no harmful traces. Boost your iTunes performance by simply clearing junk, temp, corrupted, damaged files from iTunes. How to Fix "iTunes Won't Open Issue After Update/Uninstall"
The first way to repair iTunes won’t open issue is using the repair tool. Download it for free trial. Step 1: After installing TunesFix, launch it. It will start to detect your iTunes. In this case, it will show you the specific status of each iTunes components. If there is a question mark, you can click on it to view more details. Step 2: Click Repair and wait for it to finish. Please make sure your PC is connected to stable network during repairing process. Or it is possible to fix this problem by removing iTunes and components from the previous installation and reinstall. It’s easy to make wrong which will cause untended expected when you try to manually uninstall the components. So we recommend you to use iMyFone TunesFix’s “Full Uninstall” features, which will uninstall iTunes and components in the right order. Step 1: Open iMyFone TunesFix. If it detects your iTunes is damaged, click “Back” icon to the home interface. Step 2: Choose Full Uninstall mode from the home interface. Step 3: On the next page, click Uninstall. 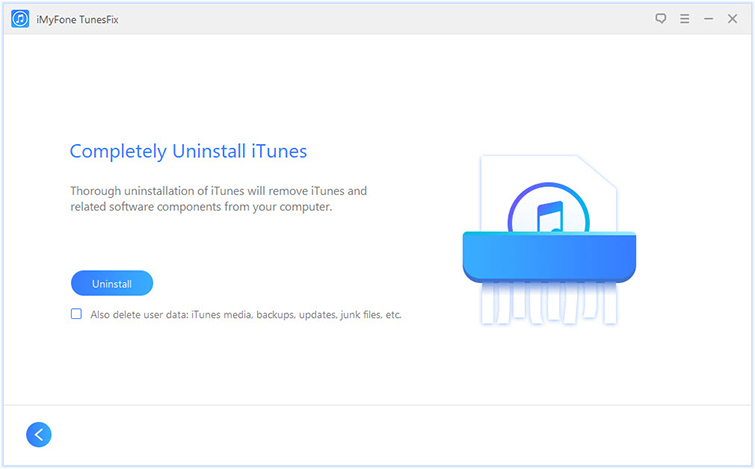 It will start to uninstall iTunes and its 5 components correctly. Note: If you also want to delete iTunes data, you can check “Also delete user data” before you hit Uninstall. But if you want to uninstall iTunes and components by yourself, you can refer to the second part in this guide. But please pay more attention when you try it. Another option is to start iTunes in safe mode which would help you to figure out what cause iTunes won’t open. How-to: Press and hold the Shift and Ctrl keys at the same time while you open iTunes. This will open iTunes in safe mode. Considering the problem of iTunes won’t open, your PC firewall plays a vital role in this problem and the system firewall can be configured by following the steps below. 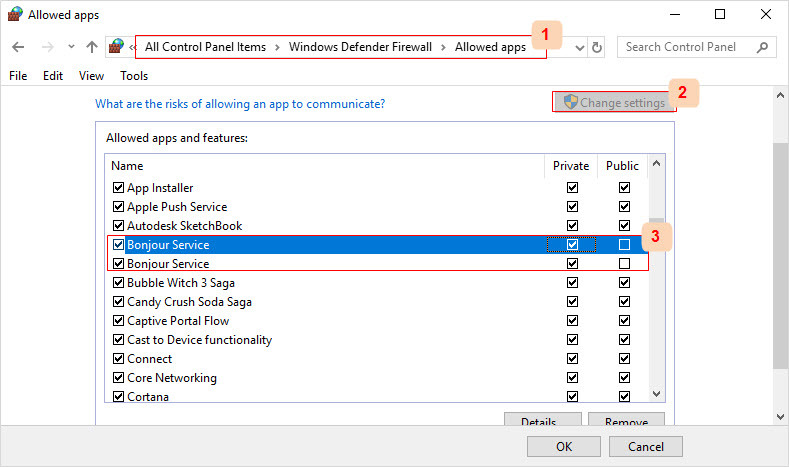 Step 3: Select “Allow an app or feature through Windows Firewall” especially if your PC is windows 8 or 10. You can click on "Allow an app or feature through Windows Firewall" if you are using Windows 7. Step 4: Select “Change Settings” and choose iTunes for both public and private network and Bonjour for only Private networks. Step 5: Select Okay and move out of the firewall window. 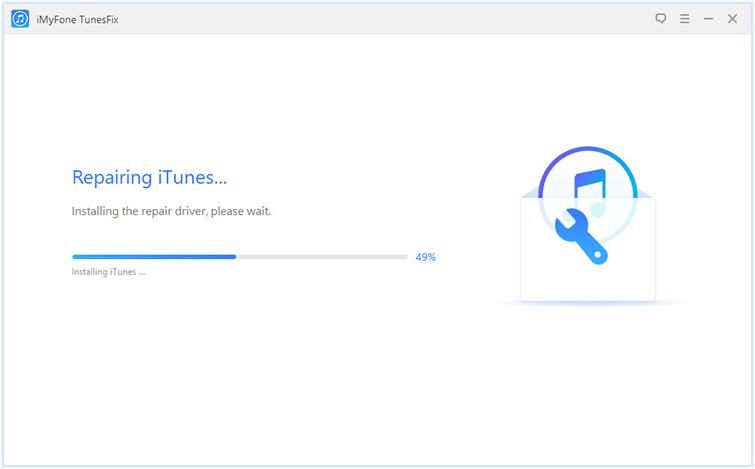 If iTunes still won't open, fix iTunes or reinstall iTunes as above.